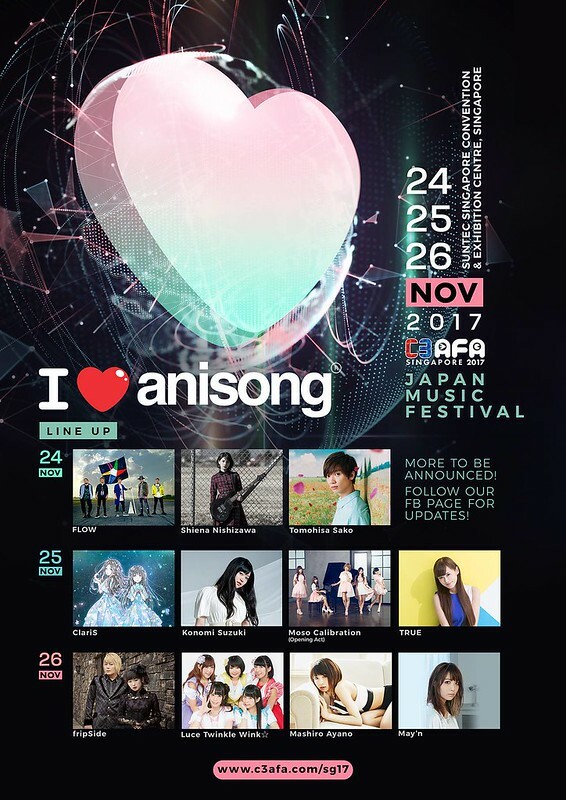 With my annual pilgrimage to Singapore coming closer and closer, finally the officials have revealed more info on the most anticipated ACG event of the region that will be held in the end of November, C3 AFA17! 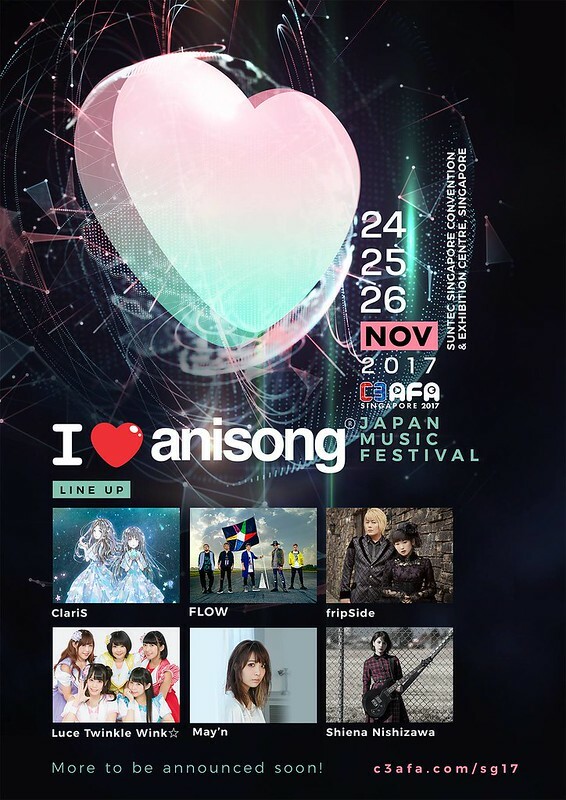 The 1st wave of artiste announcement for the I Love Anisong line up includes ClariS, FLOW, fripSide, Luce Twinkle Wink, May’n and Nishizawa Shiena, with more to be unveiled in the near future! 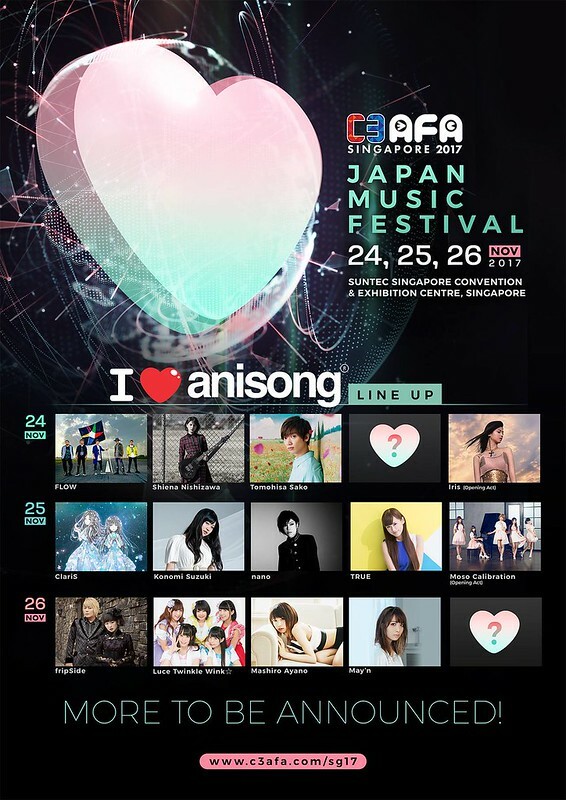 Today marks the day of the officials finally revealing the full line up of the I Love Anisong artistes for Anime Festival Asia 2014. 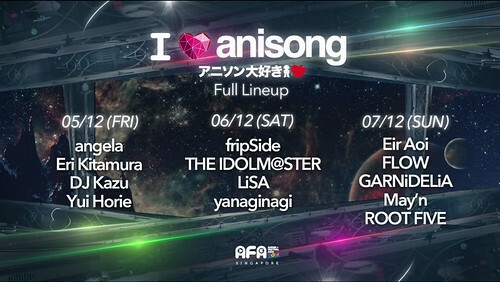 Kinda surprised at the inclusion of Horie “Hocchan” Yui, Kitamura “KitaRi” Eri and several members of The Idolm@ster fame. 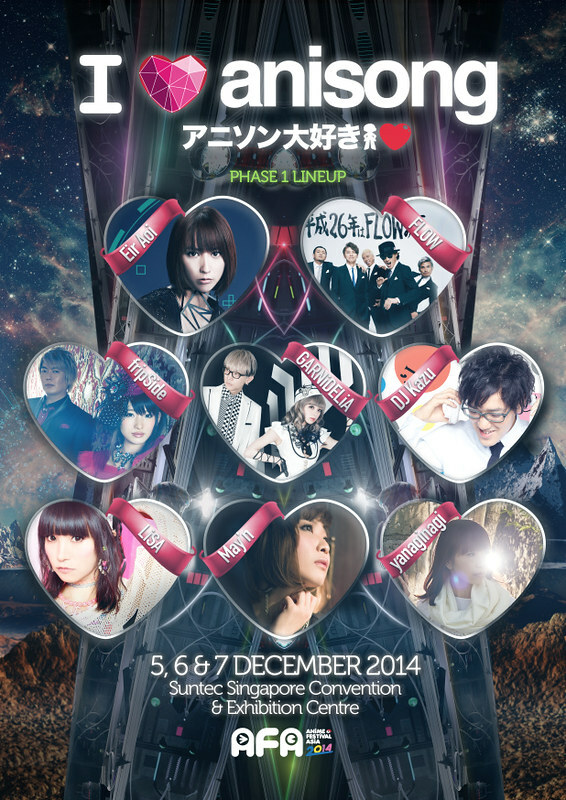 Announced yesternight via Youtube, the line up for Anisong @ AFA14 has been revealed.